What a COOL card! Have a baseball tourney to work and hoping for some crafty and weeding time! Have fun at your party! Oh, love this punny FD card. It's perfect. Hahaha! 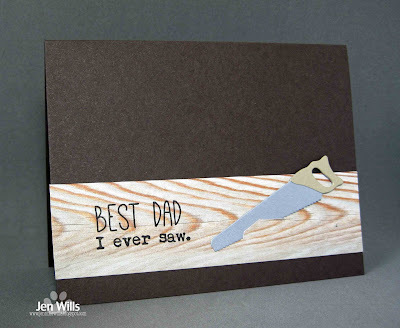 It's like a "dad joke" in card form. Oh this is fun! I like the saw actually cutting into the paper!! Love me a good pun as you know, yet another fun card Jen! hello Jen! super fun card! I am so glad you played along with us at simon says stamp wednesday challenge! Love that punny sentiment! 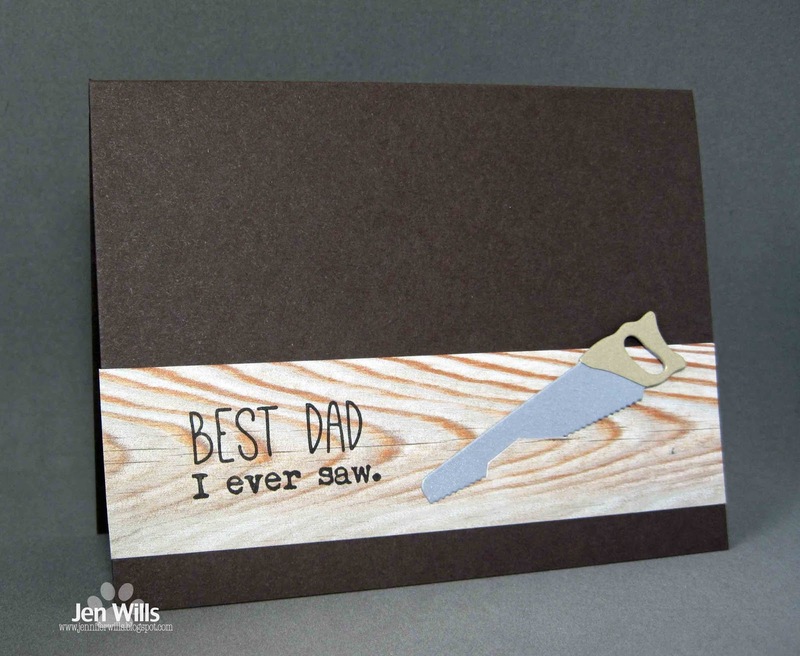 It's a great Father's day card! Hope you had a great weekend. Summer is super busy around here normally, but we're also refinishing our basement. There's my pun girl! So cute, Jen. Simply great, this will raise a smile. Thank you for joining us at The Male Room Challenge.